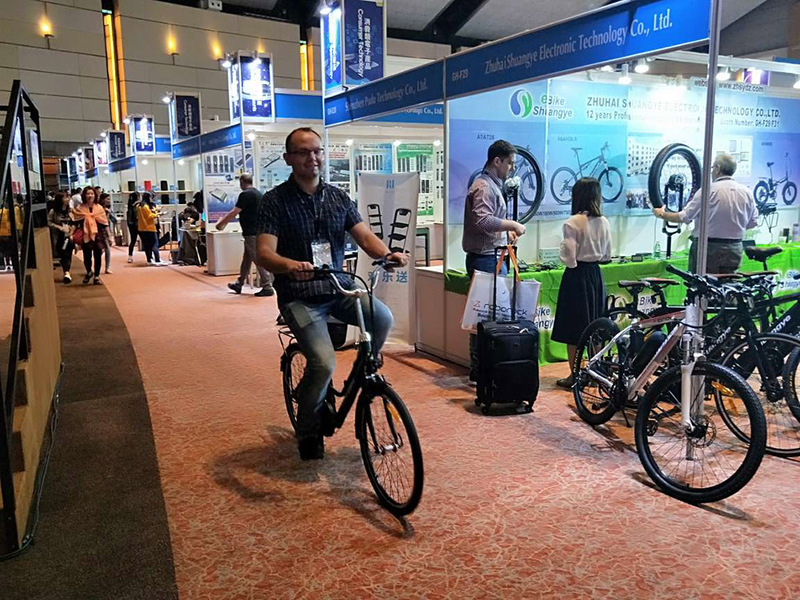 Shuangye sales team took part in the 2018 Hong Kong Electronics Fair (Autumn Edition) and showed it’s products in Hong Kong to visitors and customers from all over the world. 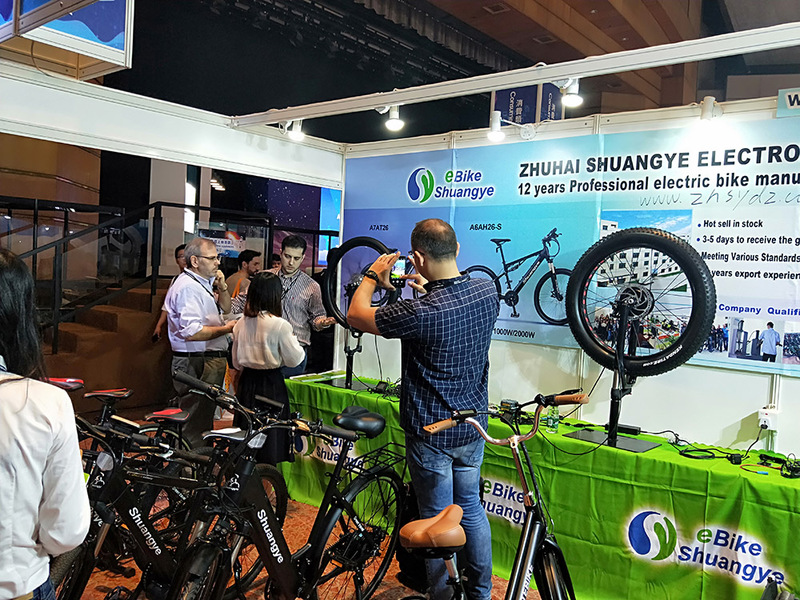 Customers are asking about the features and specifications of the Shuangye electric bike. 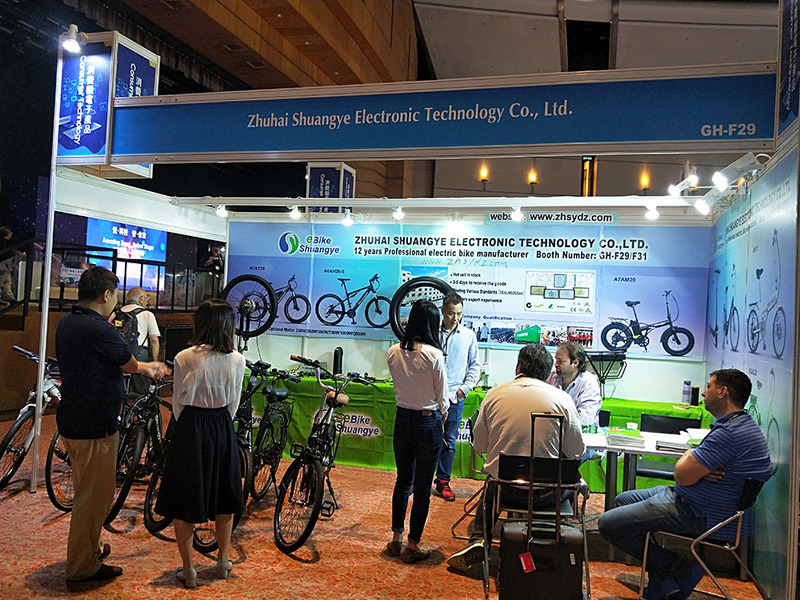 Customer is asking questions about the electric bike kits & ebike parts. 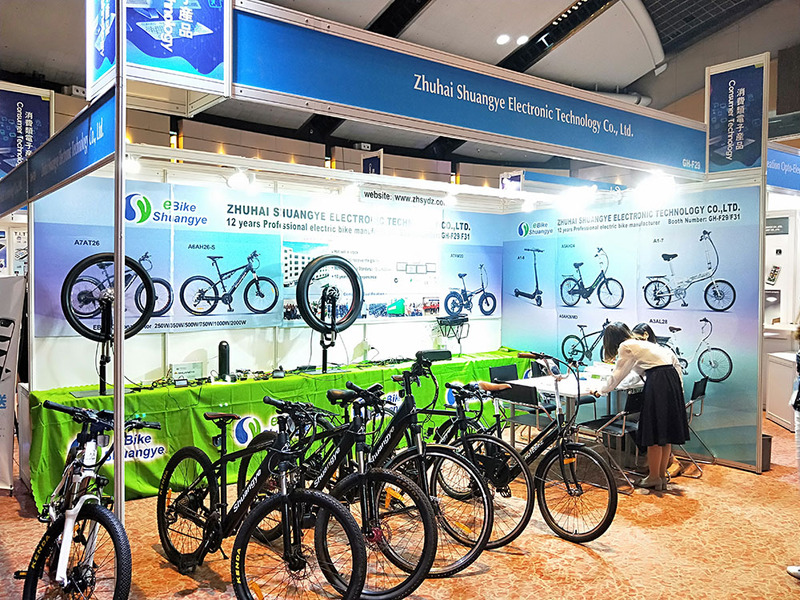 To know more about the fair of Shuangye and Shuangye electric bike, please leave a message below.